Beautiful, quiet subdivision. Wonderful opportunity for family with parents/live in dependents. 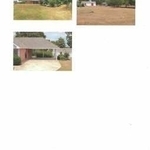 3 Bedroom home with separate apartment/living quarters for one or two. 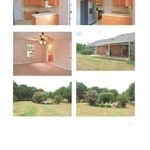 Home has eat- in kitchen with breakfast bar, gas stove, dishwasher, and stainless steel side by side refrigerator. 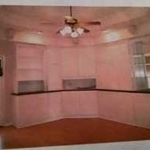 Family Room with wonderful built in cabinets and Bose surround sound speakers. Separate dining room. Master bath has two vanities & garden tub. Free floating hardwood floors in family room, dining room, and 1 bedroom. 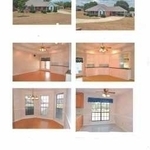 INTERIOR: Washer Dryer –laundry-mud room, Trey Ceilings, Walk in closet in master bedroom, paddle style ceiling fan, Smoke-Fire alarm, security system, Blinds-mini blinds. Please email [email protected] I am rarely able to answer my cell phone at work. So this is actually 2,335 sq feet with 4 bedrooms 3 bath when you include the other separate apartment/mother in laws quarters. 1535 main house + 800 separate quarters. 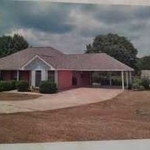 3 BR main house + 1 bedroom separate quarters. 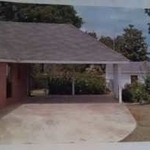 2 bath main house, + 1 bath separate quarters.